Arguments on the need to retain, and not repeal, the Sedition Act 1948 by the 13 lawyers attending the Malaysian Bar Extraordinary General Meeting held on September 19, 2014 have been touched upon at length by my colleague, Aidil Khalid, in his article, 13 voices of dissent in the Malaysian Bar. In it, he asserts the need to protect the Federal Constitution, in particular certain provisions thereof, from attack by certain unscrupulous quarters. He also quotes me on the need to preserve racial and religious harmony in Malaysia to defend the national development that has been undertaken all these 57 years of Merdeka from becoming undone as a result of the words and actions of these quarters. In my own speech before the EGM, I highlighted the preventive nature of the Sedition Act 1948 as a crucial element needed to contain racial and religious incidents at their source before they get out of hand, and that existing laws such as the Penal Code, not having this preventive element, do not suffice in containing such incidents. However, I do not believe this to be true merely in the case of the Sedition Act 1948, but also in the case of the now repealed Internal Security Act 1960 as well. The repeal of the Internal Security Act 1960 in 2012 at the urging of various segments of society, including the Malaysian Bar, was an unfortunate mistake. 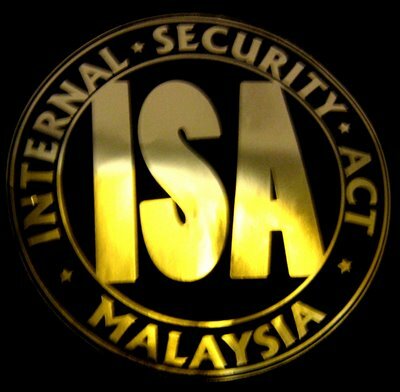 Two years after the repeal we now hear clarion calls by an overwhelming number of the Malaysian public to bring back the ISA. Why is this so? Some would argue that these individuals have yet to fully grasp the notion that in order for society to progress politically, economically and socially in the 21st century, one should be free from so-called draconian, anachronistic laws such as the ISA which provided for detention without trial. Indeed, if we recall the arguments against the existence of the ISA back then, which are very similar to the arguments against the Sedition Act 1948 now, the right of the accused to be informed of the grounds of his detention under the ISA, and to fight the same in accordance with established rules relating to procedural justice, are denied him. These are valid concerns and they must be addressed satisfactorily to ensure progress in the like mentioned above. However, the existence of this flaw, as is also the case where the Sedition Act 1948 is concerned, was not an adequate reason for the ISA’s abolition. As has been so aptly encapsulated by Aidil Khalid in his said article, one does not throw the baby out with the bathwater. Threats to national or internal security exist and are as real today as they were in the formative years of our nation, and the need for the ISA to suppress subversive elements then, such as the Communist insurgency, cannot and must not be denied. Even today, the recent increase in violent crime domestically and the rise of terrorism globally poses a threat to the security of the nation. Nationally, shooting incidents are being frequently reported as a direct consequence of the abolition of the ISA and internationally, nations such as the United States of America with their Patriot Act, the United Kingdom with their Prevention of Terrorism Act and Singapore, which has retained the ISA, point to the need for a law on national security to remain on our statute book. How then does one balance security with liberty? This is a very old debate, but common sense dictates that both must be reconciled and safety concerns must trump human rights where they collide, for without security, there can be no liberty. The ISA, instead of being repealed, could have been retained with amendments made to improve due process of those detained under that Act. In this respect, the provisions of the Prevention of Crime (Amendment) Act 2014 can be used as a guide. This amending Act was introduced in consequence of the revocation of the Emergency (Public Order and Prevention of Crime) Ordinance 1969 which ceased to have effect as a result of annulling the emergency declared as a result of the aftermath of the 1969 racial riots. The Act amended the Prevention of Crime Act 1959 to retain the effect of the repealed 1969 Ordinance by introducing provision for detention orders, which was still needed to detain without trial those who habitually commit crimes. To address concerns of abuse, procedural safeguards were put in place in respect of the operation of these detention orders. Section 7B of the Act establishes a Prevention of Crime Board consisting of a legally trained chairman assisted by four other eminent persons in place of the minister in approving detention orders, and anyone detained under the Act may make representations to the board pursuant to Section 11(1) of the Act. Even when detention orders are made against an accused, the accused still has the right to have his detention order reviewed by the High Court in accordance with Section 19A(2) of the Act. It is postulated that a reenacted ISA be clothed with similar protections against arbitrary abuse on the part of the authorities. An internal security council could be set up composed of such persons of similar or better capacity than those appointed to the Prevention of Crime Board. An accused detained would have similar right of representation before such a council, and would have similar recourse to the High Court by way of a review should the council proceed to detain him without trial. It is contended that these safeguards are in themselves sufficient for the balance between liberty of the person and the need to address concerns in respect of internal security, much like they are so in the prevention of crime. As such, and given that grave threats to national security have not abated even in these present times, the repeal of the ISA must be concluded to be wholly erroneous on the part of the authorities and the consequences have given rise to a heightened public temperature that threatens to tear apart the delicate racial and religious fabric of our society, and its reintroduction, together with the safeguards heretofore mentioned, is the right way forward for Malaysia. * Faidhur Rahman Abdul Hadi is a lawyer practising in Hartamas Heights, Kuala Lumpur. * First appeared in The Malaysian Insider, 23 September 2014. September 23, 2014 in Perlembagaan Persekutuan.